Coaster Racer is an interesting racing game. 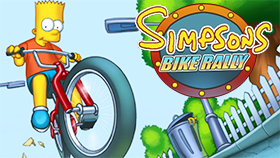 If you are looking for racing games with classic graphics, this is the game for you. 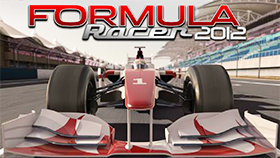 In this game you control a race car with "first person perspective". You will drive your vehicle on narrow and dangerous roads. Your task is to race for pole position. But first, you need to finish in the qualifying position to unlock the next track. The game has 8 levels, each level is a race for you. Before starting a level, you will select the difficulty (easy, normal and hard). Along the way, you can collect cast to upgrade your vehicle. You have many functions to upgrade, such as Top Speed, Acceleration, Brakes, Tires, Nitro. Cash is also earned dependent on your finishing position. Note that Nitro give your car a boost of speed but it takes time to charge up. Besides, you can hold the freestyle to show off and multiply your score, but beware, you can’t steer when free-styling. You need to minimize damage by avoiding cars and track-sides, and staying on the track. A damaged vehicle earns fewer score. Try to stay on the track. Falling in the water will take your time. Coaster Racer also gives you many exciting achievements, such as hit 5 or more cones, collect 4 or more cash pickups, freestyle for a total of 45 seconds or more. Now, it’s time to play this racing game. Good luck and have fun! Use N to activate the Nitro. Use M or Z to do freestyle. Use ramps to get airborne and score more. Drive into cash icons to pick up extra money. Hit cones for score and achievements. Coaster Racer Unblocked is a great game and you can play it on freegames66. This is a site for those who are looking for unblocked games. Here, you can play your favorite unblocked games in a relaxed way, all for free. Now, enter Coaster Racer Unblocked, control your car and run to the finish with the highest rank. Race now!